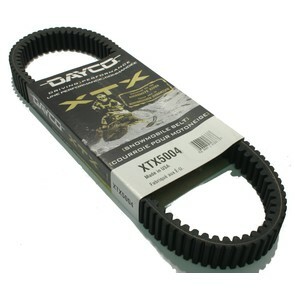 Ski-Doo Dayco XTX (Xtreme Torque) Belt. 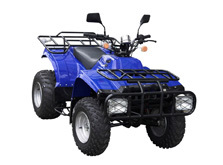 Fits 93-04 high power SkiDoo Snowmobiles. 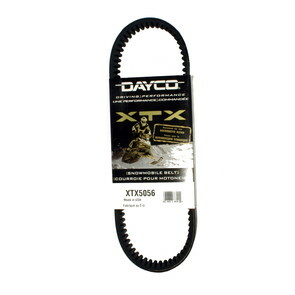 Ski-Doo Dayco XTX (Xtreme Torque) Belt. 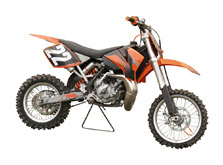 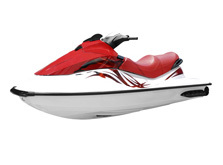 Fits 03 & newer High Performance Ski-Doo. 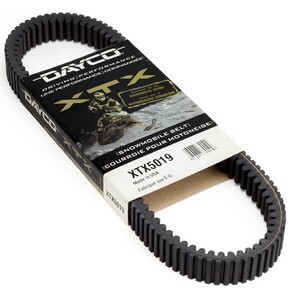 Ski-Doo Dayco XTX (Xtreme Torque) Belt for 03-06 High Performance Ski-Doo. 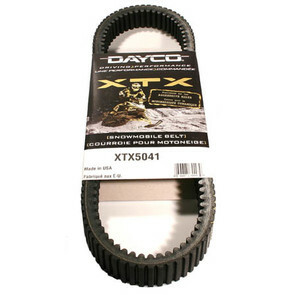 Ski-Doo Dayco XTX (Xtreme Torque) Belt. 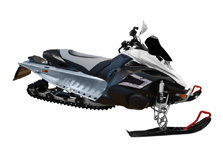 Fits many '09 and newer high powered Snowmobiles. 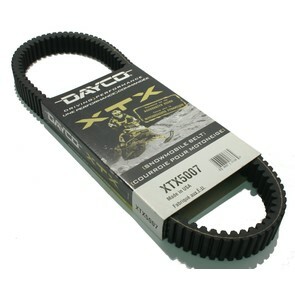 Ski-Doo Dayco XTX (Xtreme Torque) Belt. 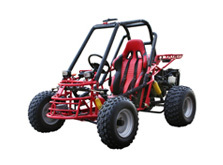 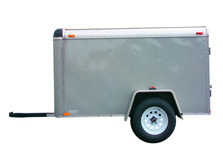 Fits many 05-08 High Performance models. 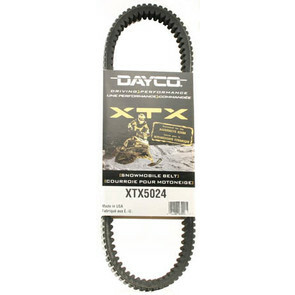 Ski-Doo Dayco XTX (Xtreme Torque) Belt for 04-newer Expedition & Skandic Snowmobiles. 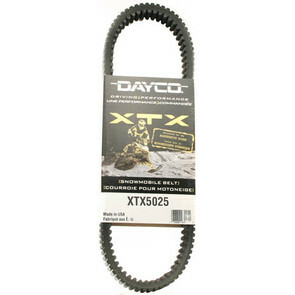 Ski-Doo Dayco XTX (Xtreme Torque) Belt. 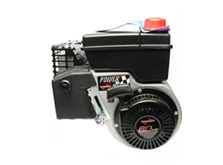 Fits many 10-11 550 Fan Cooled models. 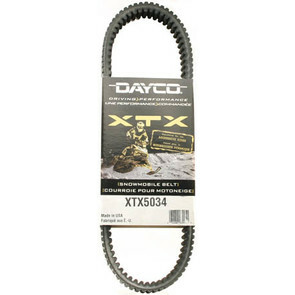 Dayco XTX (Xtreme Torque) Snowmobile Drive Belts for Ski-Doo Snowmobiles. 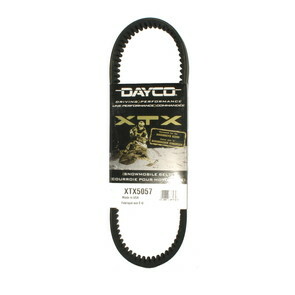 Bred from a rich history of experienced belt builders, the Dayco XTX is specifically engineered to maximize the performance of high horsepower snowmobiles. 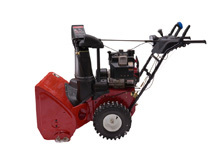 Specially formulated high temperature Polymer along with the highest level of engineered reinforcement proves to perform better in belt operating temperature and efficiency than leading competitors. 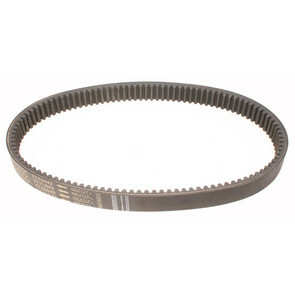 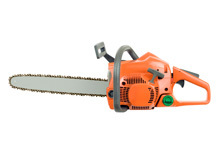 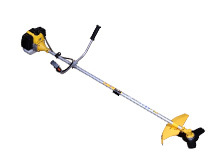 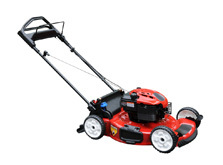 Its innovative break-through design of deeper cogs on top and rounded cogs on the bottom yield the advantages of ultimate flexibility and longer belt life.